QUITO, Jan 25 (Reuters) - Ecuador's leftist government revoked hundreds of mining concessions on Friday, highlighting its determination to boost control over the Andean nation's natural resources. Shares of Canada's junior mining company Ascendant Copper plunged 28 percent in Toronto after it lost a high-profile project. But the measure had little effect on some of the biggest players in the sector. Mining and Petroleum Minister Galo Chiriboga told reporters the state was revoking 587 mining contracts because companies failed to pay fees on concessions for reserves of copper, gold and other metals. "Based on legal norms, (the government) decided to revoke these contracts," he said. Ascendant, which lost its Junin project, accused the government of President Rafael Correa of bowing to pressure from environmental groups. "None of this is true ... the government was rushed into this," John Haigh, Ascendant's investor relations chief, said in a telephone interview. Ecuador has little precious metal output, but dozens of foreign companies are exploring in the sector where nearly 4,000 concessions have been awarded. By scrapping concessions, Correa sent a signal to the private sector that he wanted to overhaul rules for the industry. But the ally of Venezuelan's leftist President Hugo Chavez also avoided a battle with the most important foreign investors who generate revenue for the impoverished nation. Last year, Correa moved more aggressively against foreign oil companies, ordering them to hand over almost all of their windfall profits from high prices. Since then, Correa has shown signs of moderating his radical policies as his popularity ratings have fallen mainly due to perceptions he is too confrontational. Ecuador's Deputy Mining Minister Jose Serrano later told Reuters that Friday's move was "not an action against mining but a move to put the sector in order." He warned that the government could revoke more concessions later this year as part of an ongoing probe. Those concessions will be later auctioned, but he denied speculation that revoked concessions will be later awarded to a planned state mining company. Serrano said the move would not affect the country's biggest companies, which include Canadian miners Aurelian Resources, Corriente Resources and Iamgold Corp. In the case of Ascendant, the government had already limited the company's work. Last year, it ordered the company to halt the Junin project's operations on charges it had violated mining regulations. Serrano said Ascendant can appeal the order. Friday's announcement should help appease environmentalists and residents across southern Ecuador, where most of the mining concessions are located. They have lobbied Correa to increase control over mining concessions following complaints the state was indiscriminately handing out contracts in previous years. 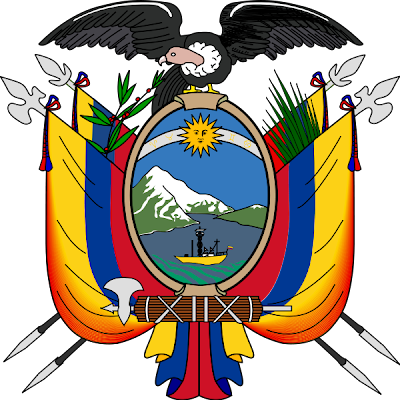 The government has already started negotiations with Aurelian and Corriente on their terms for doing business in Ecuador and boost state participation in current deals. In general, it wants to rewrite rules for the industry by introducing royalties, making it more difficult to grant concessions and setting a windfall tax that should ensure more state revenue.